Imagine a Greek island without cars, a place where kids are free to roam about. Imagine this island combining glamor with tranquillity and stunning nature. With endless paths and hidden corners. Pretty cobblestone alleys passing by beautiful colored houses and doors. An island with a cosmopolitan character. 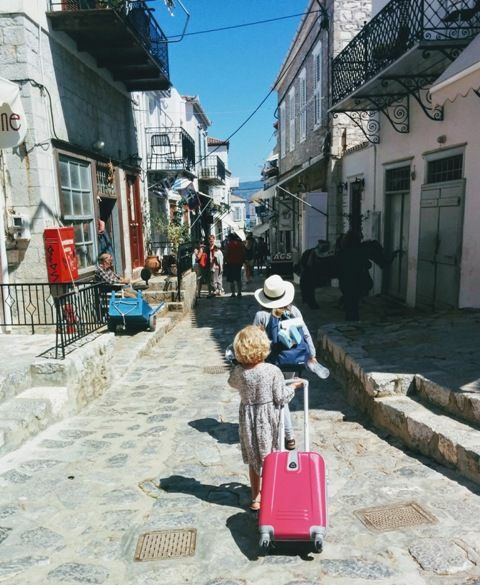 Where to eat in Hydra with kids? 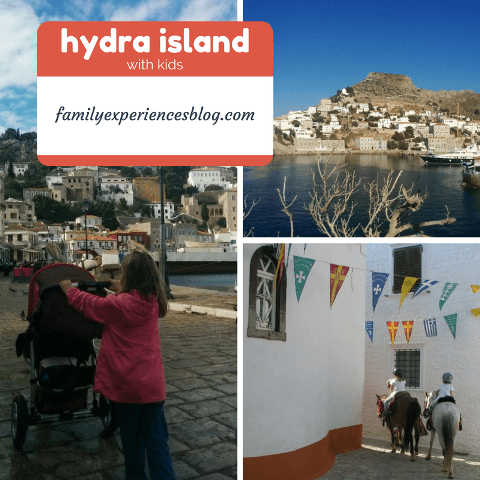 If you need more reasons why you should visit Hydra island with your family, than have a look at my post 10 reasons to visit Hydra island with Kids. 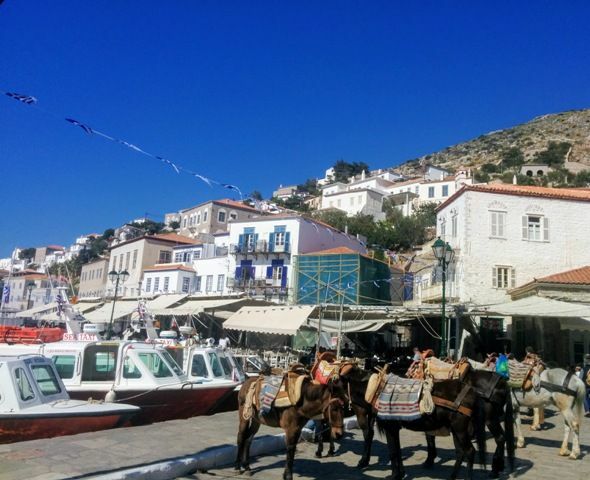 Have you been to Hydra? I would love to hear your story! 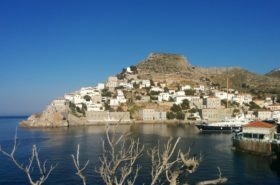 Hydra island is a favorite getaway for both celebrities to local Athenians. The island has been the background for several Hollywood productions and the second home of the late artist Leonard Cohen and other famous artists such as Audrey Hepburn and Sophia Lauren. Picturesque Hydra is built in the shape of an amphitheater on a slope overlooking the sea. The island is famous for its beautiful architecture, colorful mansions, its festivals, its fine dining and its lack of motorized vehicles and bicycles. It is a place that I have often been by myself and later on with my children. It is still one of our favorite summer weekend and holiday destinations in Greece. Hydra island has an impressive history. Thanks to its great naval and commercial activity, the island has had centuries of economic growth. The town has been restored and preserved exactly as it appeared in 1800. The banning of cars and the use of donkeys as means of public transportation also explain the reason why Hydra has kept its distinctive character through the passage of time. There are strict laws in Hydra to keep it that way. There are no solar power panels or metal doors allowed. Hydra is considered an archeological site and its protected as such. This is also the reason why Hydra is ideal for a family vacation. Children are safe and can wander around limitlessly. 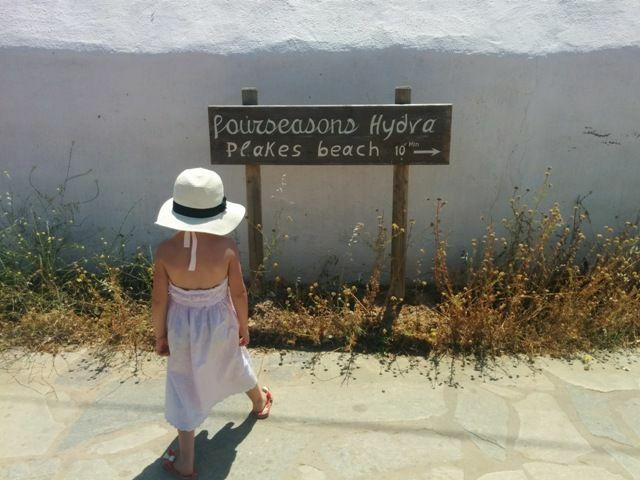 Hydra island will take your children on a journey exploring magical streets, colorful doors, secluded squares and mysterious paths covered with amazing bougainvillea and exotic cactuses. Hydra is one of the most romantic islands in Greece. It will enchant young and old. It is also a family-friendly must – visit if you are ever in Greece. Hydra island is suitable for a day trip or weekend escape as well as a longer vacation. It is very near to Athens at an acceptable travel time for young children. 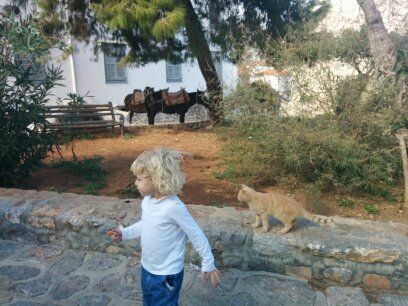 My kids love the animals of Hydra. It is probably their favorite pass time after going to the beach! 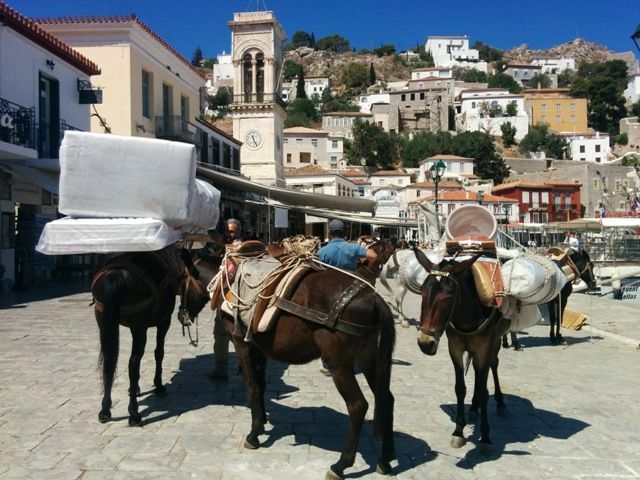 There are more than 1000 donkeys on Hydra. All transportation on the island is done by donkeys and mules (or handcarts). The hustle and bustle of the port when the donkeys are getting prepared with their loads are fascinating for young and old. This horse is a Hydra supermarket cart! Waiting outside the store for customers. Cats make up for another large part of the population on the island. You will see them everywhere, especially in the port. The harbor cats are waiting for the fishing boats as they come in in the morning, hoping for scraps when fish are cleaned. They are harmless and will be great friends for your children. 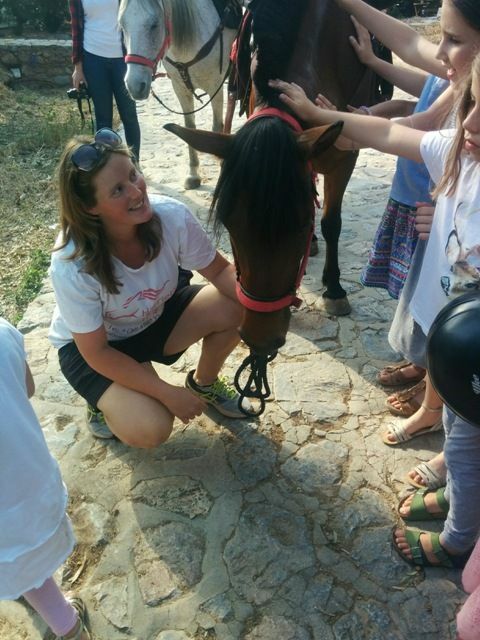 The lovely Harriet Jarman has been a local of Hydra since childhood and it a true animal lover. She set up a company that runs horseback riding excursions varying from 45 minutes to the whole day. You can ride on the beach, explore the monasteries or the countryside and mountains. Harriet’s treats the horses as her family and respects them. The horses work hard, especially in the summer, but she rests them in shade with water and food in between treks ‘to make sure that they are happy and enjoy my horse treks as much as my riders do’. You can meet all of Harriet’s horses (and their characters) on her website and read more about her great work with the horses on Hydra. My girls had the chance to ride her horses during our trip with Travel Bloggers Greece. My oldest daughter loved her horse named Copper and my little one was riding Dennis (‘the Menace’!). My youngest loved getting so close to the horses and have much time to pet her. My older daughter loved riding whilst passing by of the naughty cats in the streets. 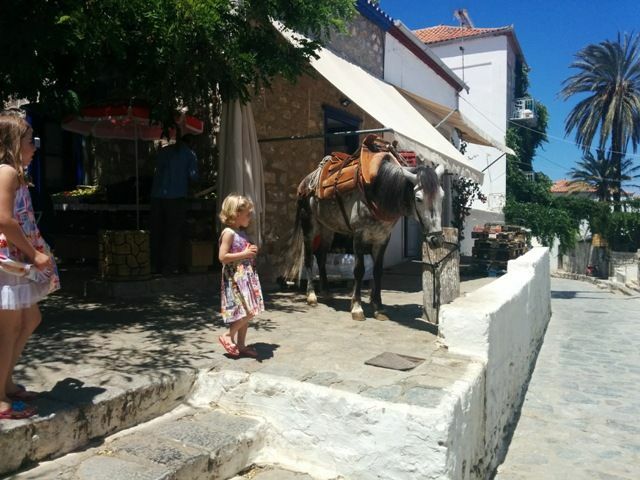 Harriet was very gentle and patient with all the children in the Travel Bloggers Greece company and I totally trusted her with my children riding through the town of Hydra. Harriet is especially focussed on children and actively encourages positive appreciation and care of horses. Book in advance because Harriet is very popular. Small children can ride alone or on the same horse with their parents. Harriet is a unique person with much love and passion for the horses. 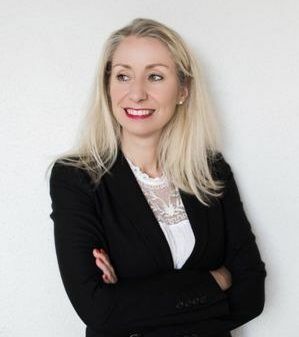 Don’t miss the chance of meeting with her! 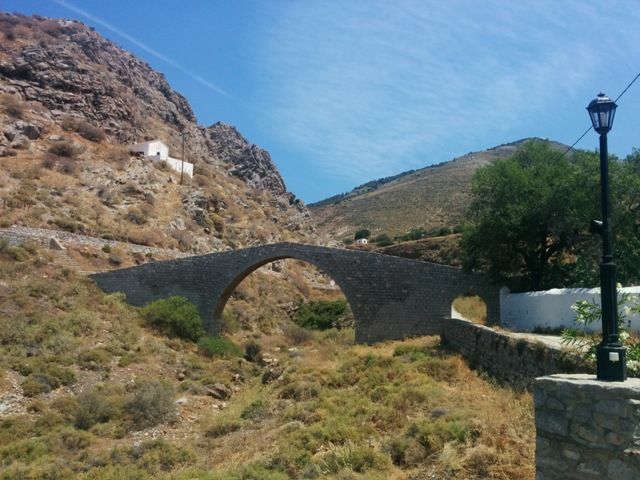 Further, there are over 300 churches and 6 monasteries in Hydra. Some are open to the public. Such as the Monastery of the Assumption of Virgin Mary, the main Cathedral of Hydra. Don’t forget to show your children the bastions with cannons in Hydra. They were used for the protection of the harbor in due time war and can still be seen on the left and right side of the harbor. 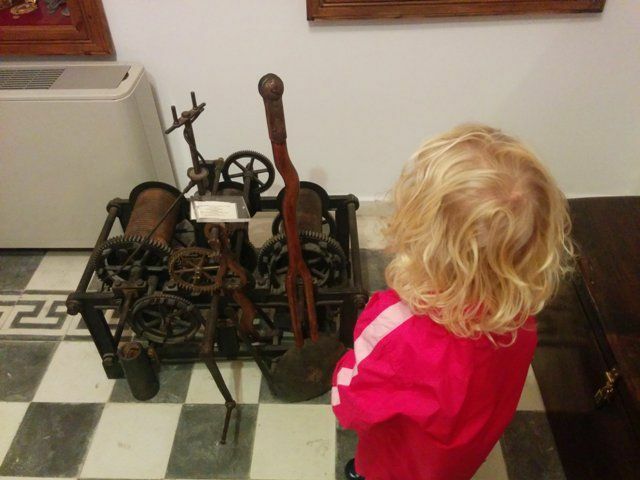 The Rafalia is actually not a museum because it is still operational. It is one of the most important historic attractions on the island. 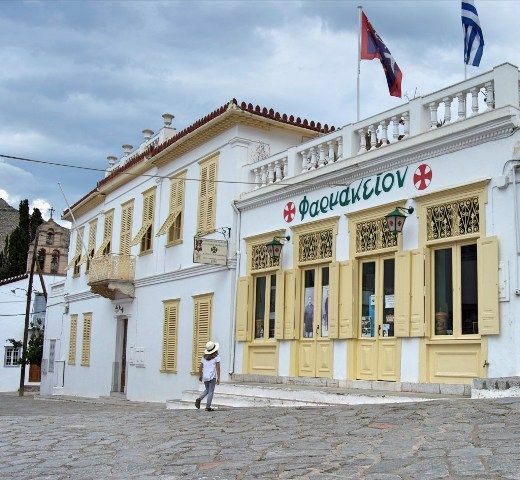 Housed in a beautiful listed mansion more than a century old, Rafalia Pharmacy is one of the most famous pharmacies in the world and the first in Greece. It was established in 1890 and still owned by the same family. The family mansion next to the pharmacy can be rented on Airbnb. With young children, you can try to walk several shorts paths. 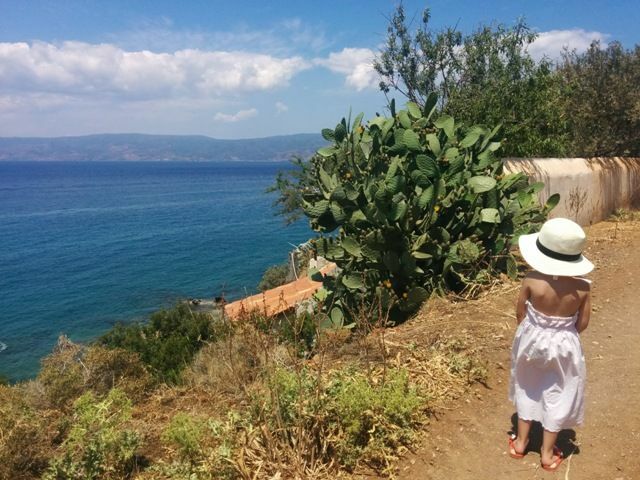 For example, my 5-year-old walked with us from the Four Seasons Hotel beach in Plakes to Enalion Beach Vlychos. It was a nice half hour walk over a sandy path with beautiful views of the sea, an old stone bridge and inspiring old houses. Do bring a hat and water in the summer. 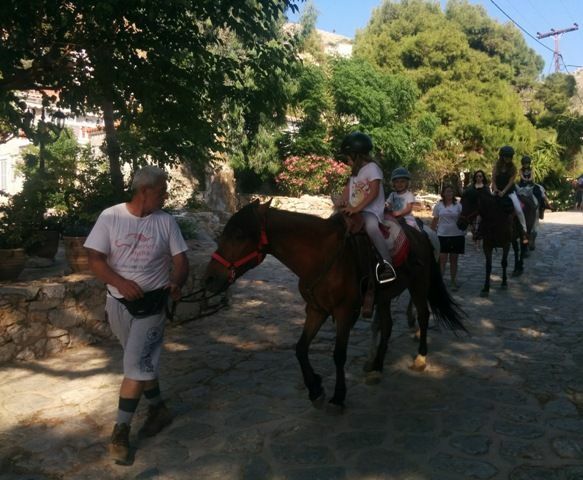 Another nice walk for young children is the cobbled stone path from Hydra port to Kamini. On your way, you will find high cliffs, the cannons and old windmills. Hydra is ideal for hiking. There are many trails and nature is pure and away from cars and city noise. The walk to the Monastery of Profet Illias will take an hour, the view is worth it! A walk on the east side of the island to the lighthouse of Zourva offers the view of a landscape stone, while on the west side of Episkopi path, the area is shrouded by pine trees. In the center of the island, there is the highest mountain of Hydra from where you can see the sea on both sides. Whose kids don’t like boats? Hydra is a boating paradise. Every summer groups of sailing boats moor at the harbor, where they are joined by dozens of sensational motorboats and yachts. The many water taxis in the port are waiting to take your family to the beaches around the island. Kids will love it! We had the chance to board the traditional wooden Taxiarchis boat that took us from Hydra port to Vlychos beach. This boat can be booked for private (group) tours as well. It is often heard that Hydra hasn’t got any good beaches such as sandy beaches with turquoise waters, like many other islands in Greece have. 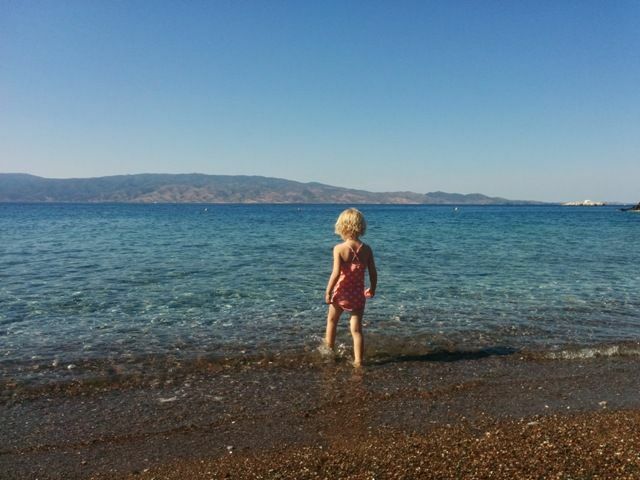 But Hydra has some beaches and they are also suitable for young children. The most beaches are pebbled. The pebbles are very small and round on Hydra, similar to gravel at some beaches. Hydra is famous for its crystal clear sea water and some beaches are calm and shallow. The following beaches are recommended by the locals for families. The first two, I have personally visited with my kids. We had a wonderful time there. No noise and my kids loved diving for stones and shells. Hydra is safe and I felt relaxed on the beaches. A quiet organized pebble beach where children can play safely in the shallow water and in the gardens of Four Seasons. The beach in front of the hotel has sand but turns into pebbles closer to the water. If your children have difficulty with small pebbles you can use water shoes. 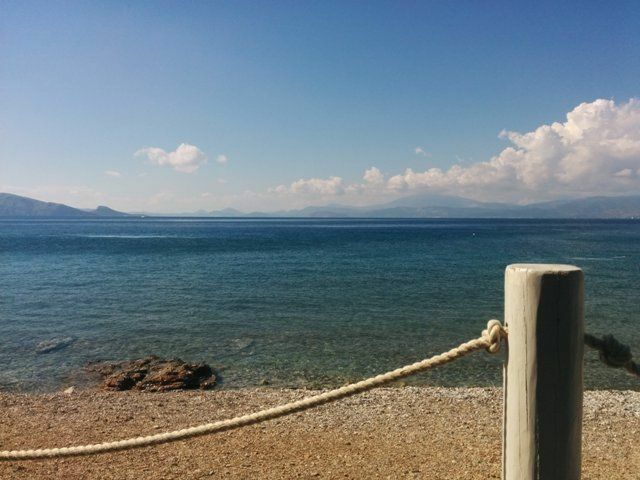 What I love about this beach are the views of mainland Greece and the surrounding islands. The tavern serves excellent food for lunch and dinner. The beach can be reached by water taxi from Hydra port. The hotel and tavern have a boat for their guests that runs every hour between from and to Hydra port and costs 3 Euro per person one way. Above you can see what the beach terrain looks like. Or take a look here to see the beach from above. The Kamini beach is about 15-20 minutes walk from Hydra town but you can also get to this beach by water taxi. This is a small pebbled beach with some umbrella’s located near the harbor of Kamini where you can also find drinks and food. Bisti or Saint George beach is a pine-covered area with blue crystal waters and only accessible by boats from the port by water taxi. The beautiful green beach is organized with umbrellas and sunbeds and a small snack bar. Right next to Bisti is the small beach of St. George, named after the chapel there. A big beautiful bay with blue water and an organized pebbled (and some parts sandy) beach with daily connections to Hydra port from where it takes about 25-30 minutes by boat. This beach is located at the southern point of Hydra named after the chapel of St. Nicholas. There is a beach bar with drinks and snacks. One can enjoy both beaches and Bisti and Agios Nikolaos on the same day. There are so many different festivals and celebrations on Hydra island. To just name a few; the celebration of the almond tree in Hydra in February with dance and music, the national holiday of 25 March with marches and parades, the carnival celebrations in spring with dressed masqueraders of all ages walking around in a noisy procession on the streets and squares with ‘King Carnival’. 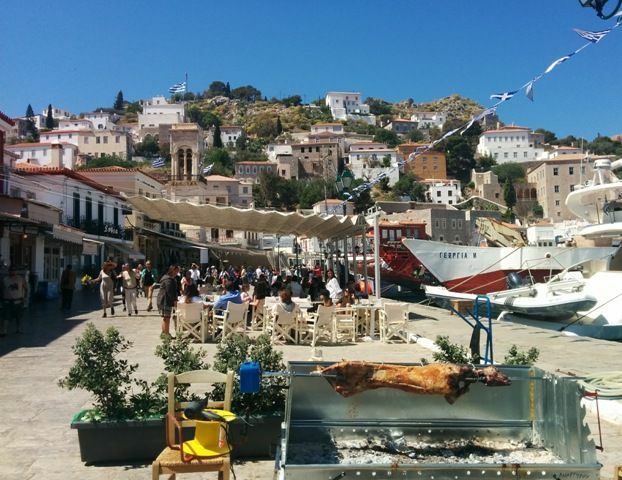 Or May Day in Hydra with concerts and lots of food outdoors. Easter on Hydra is spectacular and I recently had the chance to experience it. The unique celebrations take several days with the most important rituals starting on Good Friday. On this day a procession of the Epitaph takes place in the streets of the island. The epitaph is carried to Kamini port and is left in the sea. On Holy Saturday the resurrection is celebrated in the churches of the island. It is best to attend the service at the main cathedral in the port. Children and adults are all gathered together and wait until the magical moment of midnight to light their candles and wish each other Happy Easter and admire the fireworks. Most families head to the taverns and restaurants after midnight for an Easter celebration dinner. Make sure you reserve a table if you manage to stay up that late! On Easter Sunday you will smell food all over the island and see roasted lamb on the grill everywhere that you will go. On Sunday afternoon you can watch the tradition of the Judas burning in the port. Cannons will be fired and local men dressed up in traditional Hydra folklore are using firearms. The Judas burning ends with magnificent fireworks. Easter is a family celebration and children are welcome everywhere. 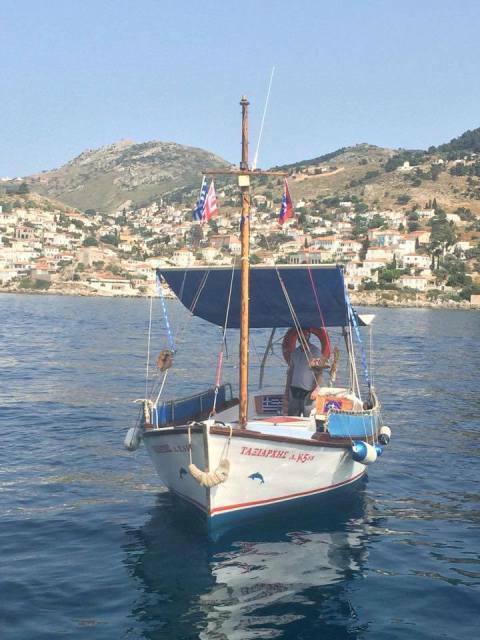 This famous celebration is dedicated to the glorious Admiral Andreas Miaoulis and takes place in the last week of June. The ‘Miaoulia’ celebrations vary from religious services, memorials, musical events, theatrical performances, games, regattas, dance and sports events. On the last day of the celebration, there is a reenactment of the acts of the admiral, the burning of the Turkish armada with men dressed up as heroes of the War of 1821 followed by impressive fireworks. This six-day festival takes place in August and celebrates the first President of the Hellenic Republic, the Ydraian Admiral Pavlos Kountouriotis. There are lots of official services and memorials taking place with representatives of political and military authorities as well as various cultural events such as guided tours to museums, sporting events, exhibitions and book presentations. Hydra is famous for its good quality food and traditional local cuisine. 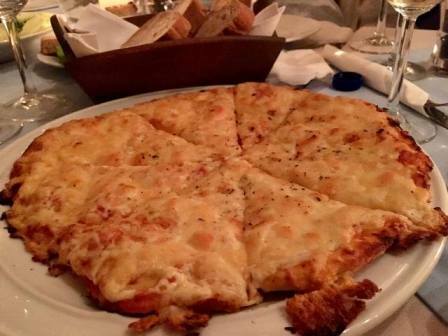 There are many choices when it comes to food on the island: from humble traditional taverns to posh restaurants. Hydra is famous for its fish dishes, especially fish soup. You can serve your children fresh pure food here. We have tried and tested many places. 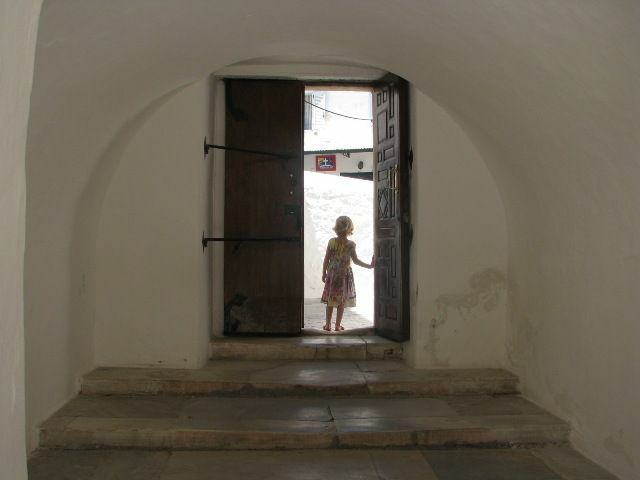 Here is a guide of where to eat in Hydra with kids. 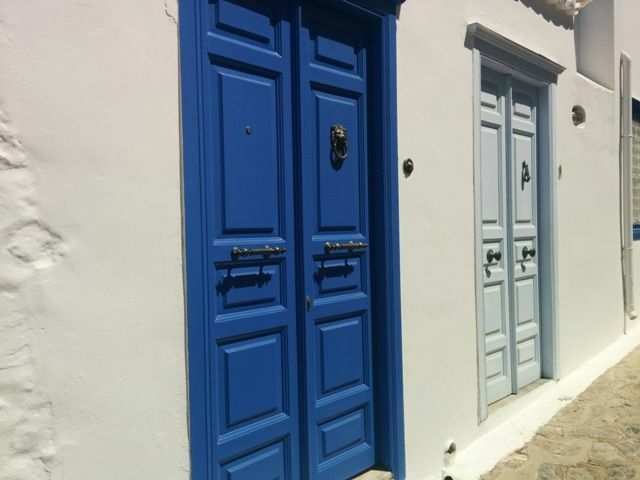 Prima is one of the first places that you will see upon arrival on Hydra island. It is an all-day cafe-restaurant located at the embarkation point of the ferry boats. It is a good place to have a coffee or light meal whilst waiting for your boat. Prima is great for drinks in the evening during sunset and it serves good value for money dinner. I had nice wine here, good cheese and original mezze. My children loved the freshly cut french fries and the club sandwich. 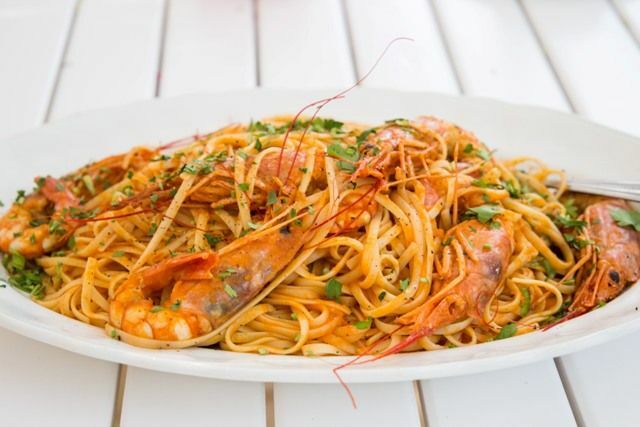 Piato is a reasonably priced family tavern located right in the middle of the port at the waterfront underneath the clock tower. Piato serves traditional Greek food such as beans, stuffed vegetables, mixed grill, and salads. The name of the restaurant’s means ‘Plate’. 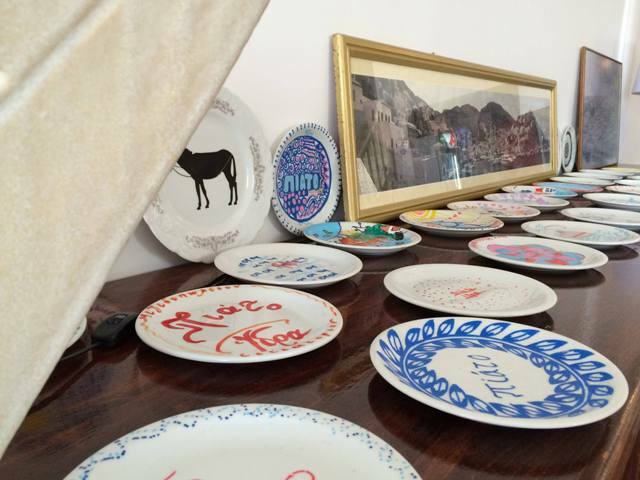 Inside the tavern, you can admire a wall full of hand-painted plates. These are created by (sometimes famous) visitors from all over the world. My kids loved watching all these different plates. We tried grilled meat and a nice salad with nuts and when our children had finished their spaghetti, they were playing safely next to us in the port. Caprice is located in one of the narrow romantic alleys of the town. It is a small cozy Italian bistro with a large selection of wines and old tools and art on the walls. It actually looks like a little museum. It also displays what Hydra is most famous for: sponge diving. My children loved the pasta here and we tried the very thin crusted delicious pizza. Probably one of the best restaurants on Hydra and certainly the only one with real Italian cuisine owned by a Neapolitan family that came to Hydra many years ago. 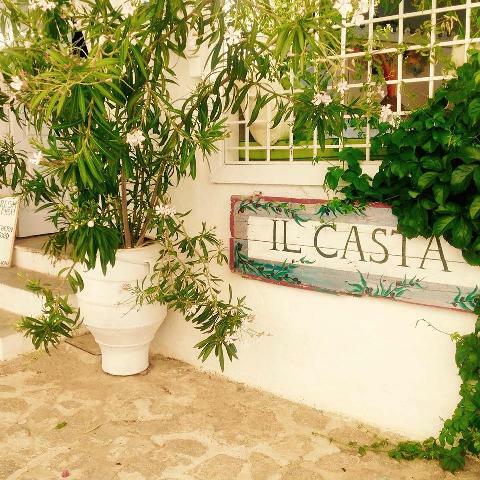 Hidden away in a small street in Hydra town, Il Casta travels you to Italian food heaven. My children were comfortable on the sofas in the beautiful courtyard. The food that I liked most was the delicious fresh pasta with octopus, the steamed mussels, and the octopus carpaccio. Beautiful plates and bowls too and very kind and hospitable staff. Christina is always a favorite when I am visiting Hydra island because of the fresh grilled fish and the local homegrown ingredients. 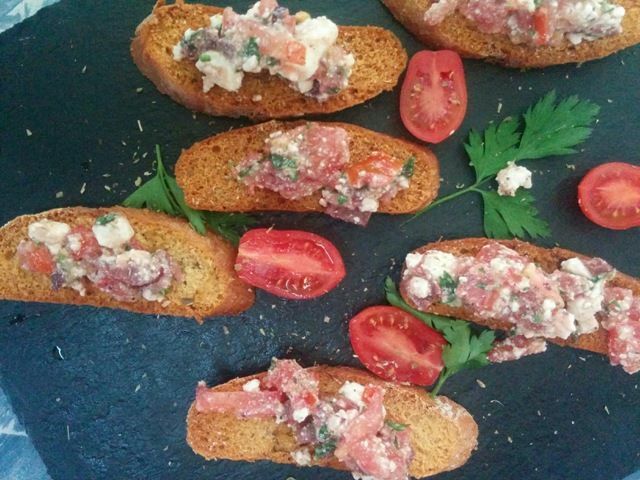 Christina is a simple family run tavern that also serves meat, salads and homemade mezze. You can ask the tavern to pack up something up for you to take home if you do not want to stay at the tavern. 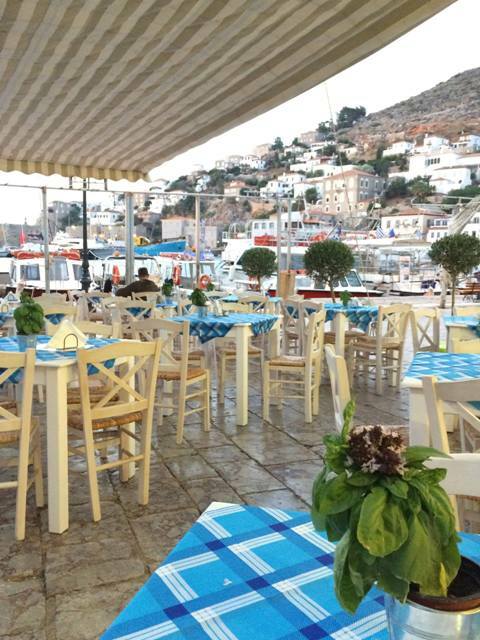 Kodylenia’s restaurant is located right on top of the small fishing port of Kamini and has an amazing view over the sea. 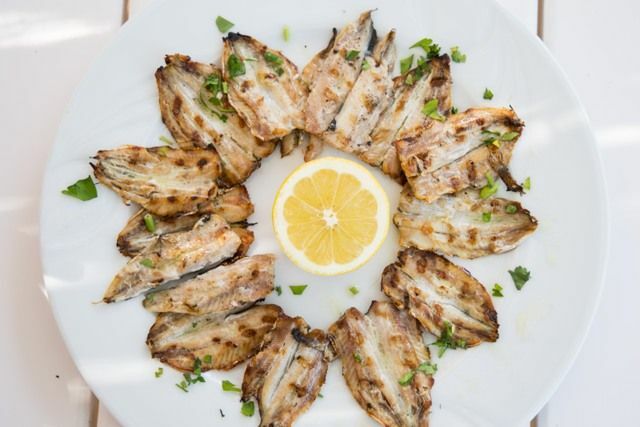 The restaurant offers a variety of fresh (grilled) fish, seafood, salads, mezze and food from the Greek cuisine. Enalion is a place to forget where you are. Located on the beach, this light open modern style yet relaxed restaurant is one of my favorites. Besides delicious fish, seafood and salads, this excellent restaurant is great for afternoon cocktails and chilling too. The restaurant is spacious with large tables covered by the natural shade of the bougainvillea and vine leaves. There is a large open area on the beach with lounge chairs and space for children to play. We had a great summer afternoon at Enalion enjoying mouthwatering dishes of fresh fish and meat, fresh vegetables in original salads, mezze, fresh bread and great wine. I loved the seafood spaghetti. Enalion serves dishes suitable for children. Our kids loved the grilled sardines, the fresh french fries, and grilled calamari as well as the fried zucchini balls. After their lunch, they were happily playing near us while us adults had time to eat and relax. Other restaurants to be recommended are Kai Kremidi for the affordable mixed grill and Greek souvlaki or Psaropoula for fish. For fine dining make a reservation in Omilos in Hydra’s harbor (splendid views, pampering for parents) Techne and Sunset. 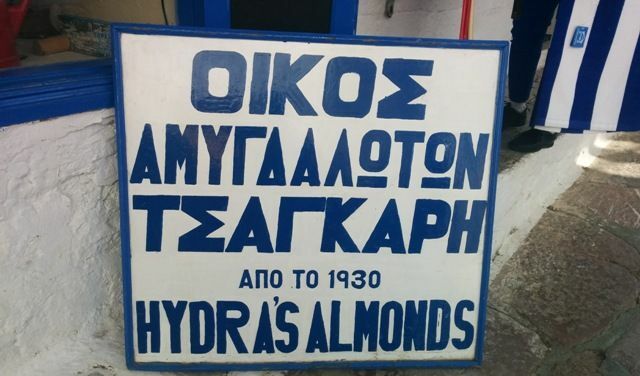 Do not forget to buy some of Hydra’s most famous sweets: Amygdalota. These are delicious hunks of scented almond paste formed into the shape of small pears, rolled in powdered sugar and there is a whole clove used for the stem. Kids will love them. Hydra has plenty of accommodation for every budget and every visitor. Luxurious hotels housed in old mansions as well as affordable rooms and B&B’s. When you book your family accommodation, check out its location. Ask how long it takes for you to walk from port to hotel or from hotel to the beach. Some hotels can only be reached by steps. I have been at the beautiful Bratsera hotel. It is located in an old sponge factory and is the only family hotel with a swimming pool on Hydra. 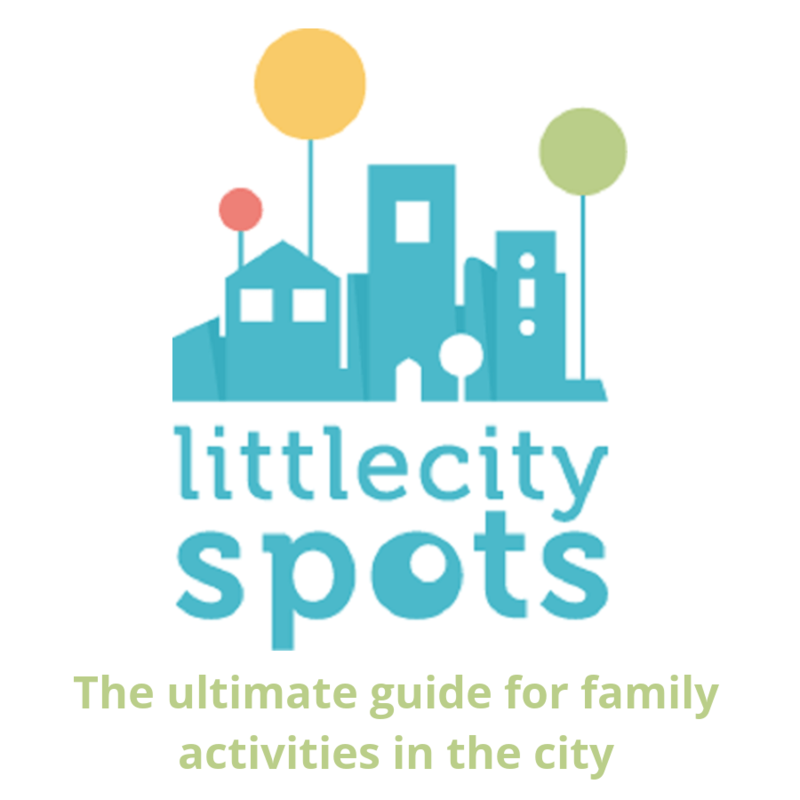 I like the fact that they are very central in the port and easy to reach with kids. Click here for more up to date information and prices. Another one of my favorites is the Four Seasons Hydra Luxury Suites on Plakes Vlychos beach. This boutique hotel is very suitable for a holiday with babies because it is right on the beach and very quiet. If you are not looking for a five-star hotel but want to experience Hydra in a different way, I can recommend the following. Mastoris Mansion, located just 90 m away from Hydra’s port has many traditional characteristics like stone walls. It offers five rooms beautifully decorated and a nice terrace where breakfast. I have also stayed at the Sidra Hotel located near the city hall 50m, away from the port. 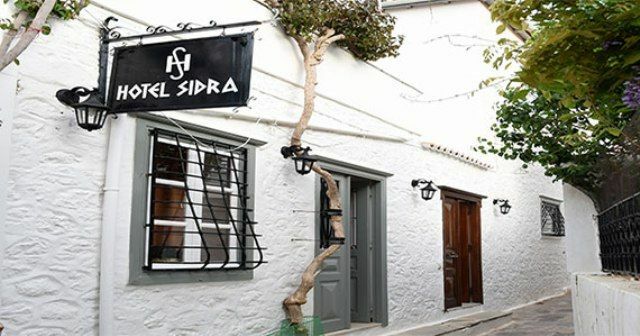 You can find our review on hotel Sidra Hydra charming budget here. 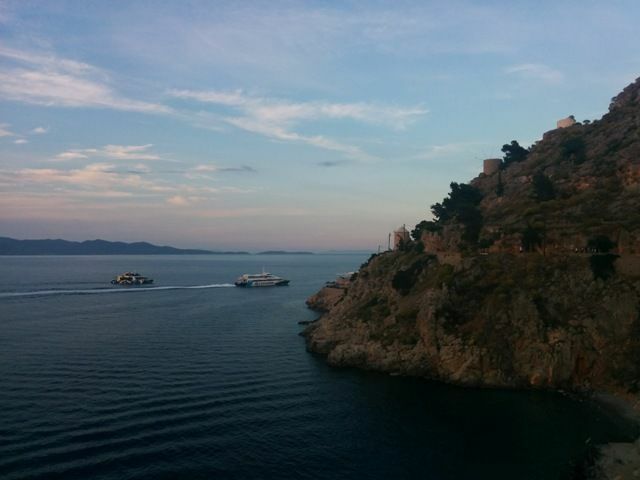 There are several ways to travel to Hydra. Beginning your journey from Athens by car, the distance is approximately 180km, it takes about 1,5 hours. You will need to drive to Metohi, a village opposite to Hydra in the Peloponnese, where you can leave your car and get across to Hydra by sea taxi within 25 minutes. Flying dolphins hydrofoils ferry boats and catamaran ferries to Hydra, all leave from the port of Piraeus. It takes 1,5 hour to get there from Piraeus port with the Flying Dolphins and 2 hours with the catamaran. You can find all the information about the ferry boats and reservations on the website of Hellenic Seaways. 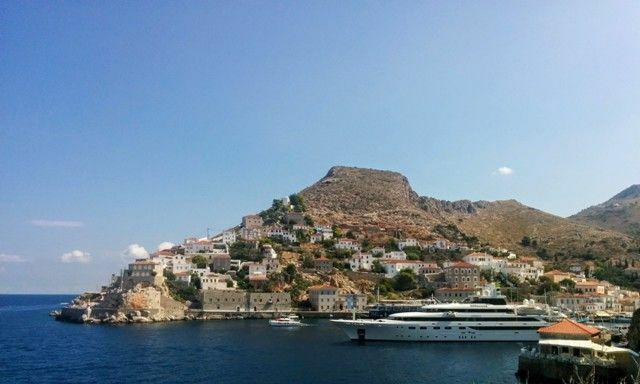 You can also take a one-day cruise to Hydra. 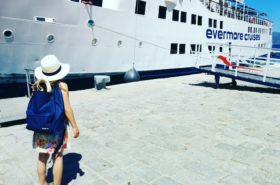 We have travelled with Evermore Cruises, the first and only yacht cruise in Greece travelling to Hydra offering VIP services. You can find our review here. More information is on their website. This story has been first published in May of 2017 when I visited Hydra for three days with Travel Bloggers Greece. We were invited by the Municipality of Hydra. I sincerely thank the Municipality of Hydra for their warm hospitality. I especially thank Mr. George Koukoudakis, Hydra’s mayor, for his kind invitation to Travel Bloggers Greece and our families and his passionate presentation about Hydra. The post has been updated in May 2018. This place sounds idyllic. It’s impressive that you’ve supplied so much information. Your photos look gorgeous. Thank you very much Stuart for the compliment. I love your blog. In August’18 we will be visiting Hydra for the sixth year running. 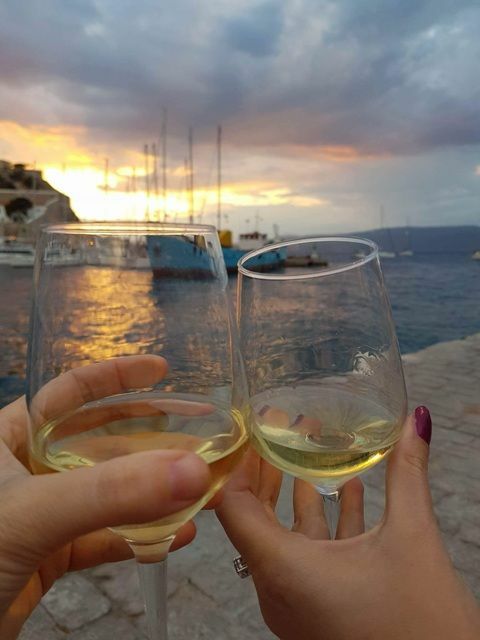 My wife’s cousin from Australia,spends her summers in Hydra where we join her for a week or so either at the end of our trip or,like this year,at the beginning. She stays in Mandraki which is the small bay before you get to Hydra when you travel from Piraeus. Mandraki is a very pleasant two and a half kilometer walk from Hydra Town or ten minutes by water taxi. 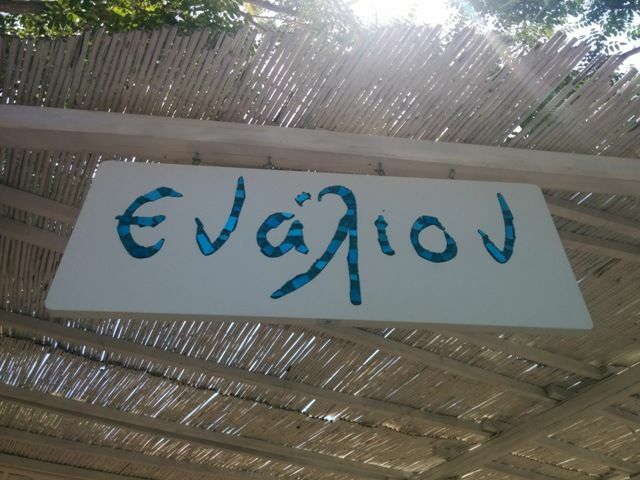 There is only the one taverna in Mandraki but well worth the visit. The cousin,Desiree, is a well known artist and most locals in Hydra know her. This year she will join us when we go to Crete. Your beautiful photos and comments about Hydra, heightens the anticipation to go to the Greek Islands again! Thank you so much Celeste! Thank you so much Louis for your kind words and your recommendation for Mandraki! Real experiences and tips from locals are what I am always trying to represent. I would love to see Desiree’s work, I may have already seen it. 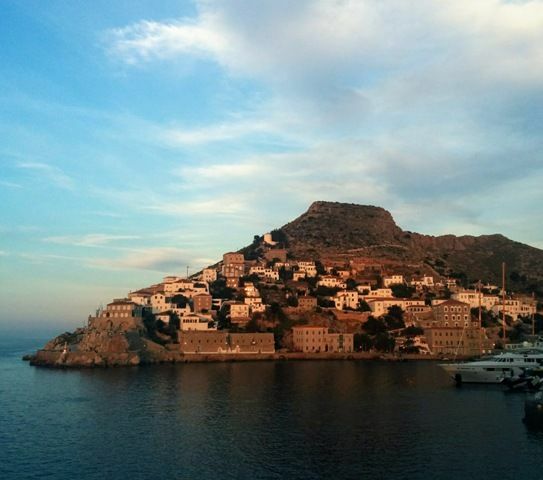 You are so blessed that you get to visit both Hydra and amazing Crete this summer! We are uploading information about Crete on our blog in the coming weeks so we would love to hear your tips or experiences when you are there this summer. Thanks again for taking the time for leaving a comment. Have a summer in Greece! I’m debating between either Poros or Hydra for an upcoming trip in April. Which one would you recommend? Dear Rachel, so good to hear from you! 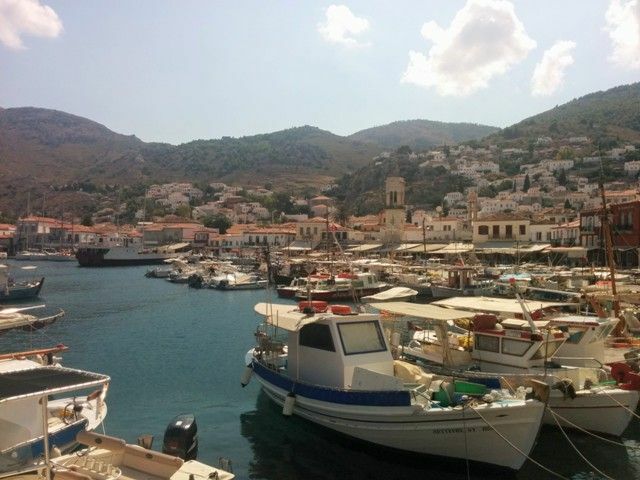 Poros and Hydra are both great islands but very different. So it depends on what you are more interested in. Hydra has no cars and has a lot of cultural monuments and museums. Poros, on the other hand, is a more natural island great for hiking and sailing. Poros is more budget friendly but has cars and the distances are larger. For shopping, galleries and food, I would recommend Hydra. For boating and paths I would recommend Poros. My personal favorite is Hydra. Let me know if you have any further questions! !